Dasara, Dushera, Navarathri … the very names symbolize resplendence. Think of this grand Indian festival and the mind fills itself with all the vibrancy a festive occasion denotes. So much so that, the very month in which the Dasara is celebrated turns out to become special, for it includes nine continuous days of festivity, each one of them unique, symbolic and special in their own way. One of them is what falls on the ninth day of Dasara commonly called the Ayudha Puja and traditionally celebrated by worshipping implements, arms and ammunitions, tools and vehicles, mostly in southern parts of the country. Read through, to learn the diversity of the celebration of this festival in detail. While Ayudha Puja as the name itself suggests is about worshiping tools and implements, though it is observed in different places for different reasons too. For people who grandly celebrate Durga Puja, the ninth day is Mahanavami which is considered the day on which Goddess Durga killed the buffalo demon, thus symbolizing the victory of good over evil, whereas the same is celebrated as the day on which goddess Chamundeshwari killed demon Mahishasura followed by which is the celebration of Vijayadashami in Southern parts of the country. It is mostly Ayudha Puja across South India. 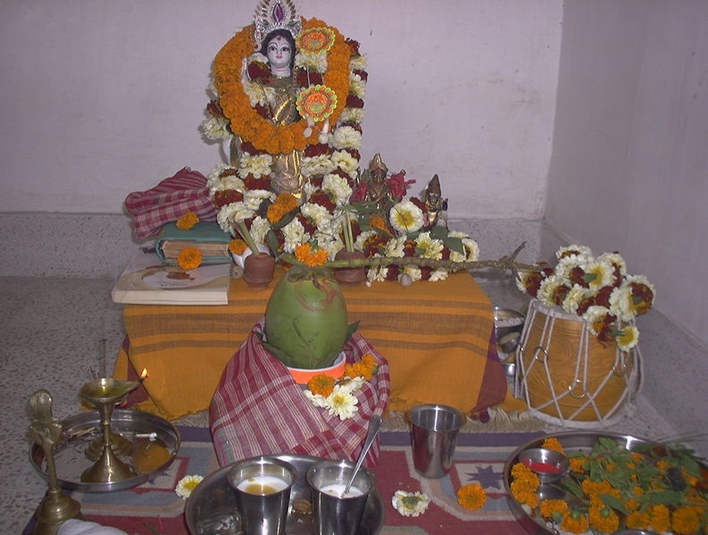 While it’s Astra Puja in Odisha, it is also called by name Mahanavami in many eastern and northern part of India. “Legend has it that the Ayudha puja was performed on the day prior to Goddess Chamundeshwari’s war on demon Mahishasura and all her weapons were worshiped before she left for the war. And the day that follows is the celebration of her victory in her war over the demon, thus called Vijayadashami indicating her victory over evil,” says Manjunath Shastry, a purohit from Mysuru. “Hence symbolically, all the weapons present in the Mysuru palace are worshipped in the courtyard by the Maharaja on Navami. Also, all the transport vehicles, cows and horses too are worshipped, seemingly indicating that the rathas or vehicles which were being driven down to the war site were also prayed to as a good sign,” he adds. Therefore, the same is replicated by all those who celebrate the Dasara festival in their homes, since the weapons are considered to signify the illustrious power of man, ensuring the progress of mankind materially and spiritually. Furthermore, even the domestic tools and transport vehicles and are washed, decorated and worshipped. It indeed is a visual treat to witness the clean and colourfully decorated vehicles vroom past the roads looking bright and nice on the day. The importance of Ayudha Puja on this occasion may also be due to the fact that on the day of Vijayadasami, Arjuna, one of the Pandava brothers, took back his arsenals which he had concealed in a Vani tree. He took the weapons back so that he can use them while he lived in disguise for the promised period of exile. In Karnataka, especially in Mysuru, Mahanavami is also called Maharanavami and is dedicated to the men and the little boys at home. 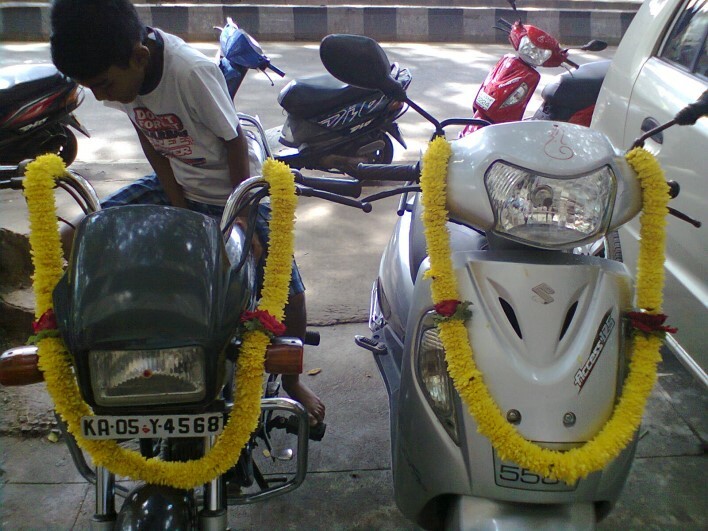 ‘Mahara Navami Habba Maganige’ (Mahanavami is for the male child at home) is a saying in itself that’s self-explanatory and all the attention stays on the boys at home on this special day. This day is followed by Vijayadashami that brings to an end, the ten multi-festive Dasara days to an end for the season, even as it is looked forward to with the same eagerness in the year to come. What to see in Mysore?